Are Seeds Alive? 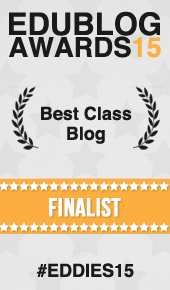 – Mrs Baldwin's Class Blog! 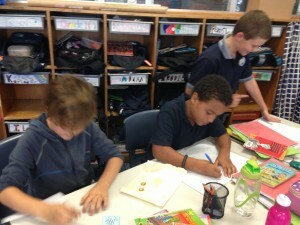 This term our Science topic is “Plants in Action”. They can grow into a plant.How can it grow if it was not alive?There would be no vegetables and trees because if a seed was not living then it would not grow into trees or plants. Seeds need food like fertiliser and water just like humans and animals and they are living. If a seed is not living it cannot come to life. If you don’t water the seed it will not grow so it’s not living, but if you water the seed, the seed will grow so it’s then living.Seeds grow when they are planted in the ground so they are living, but they don’t when you leave them in a packet so they are then not living. Because they do not move or grow without help from water or fertiliser. 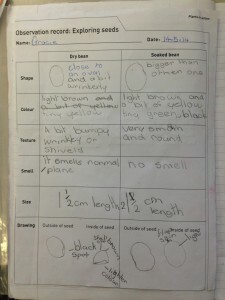 We then worked in teams of 3 to find out what was in a broad bean seed. 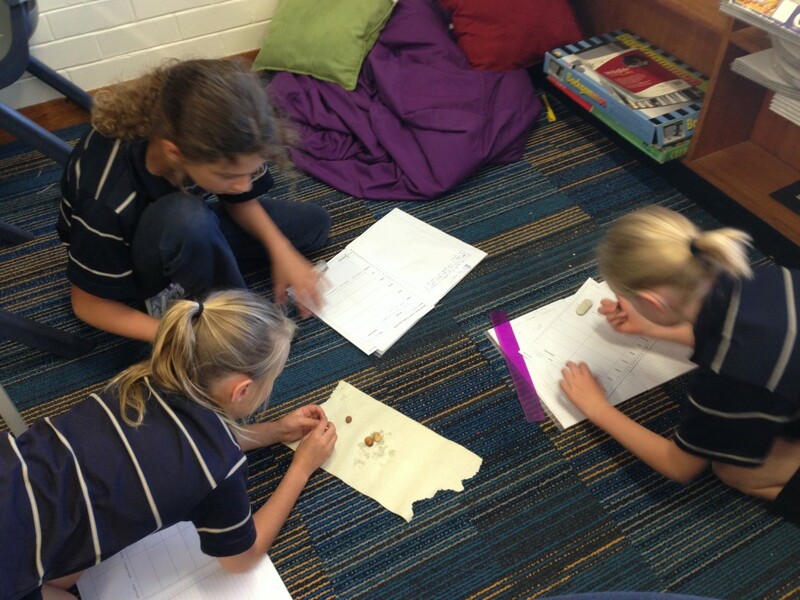 Each group had 1 broad bean seed that was dry and another broad bean seed that had been soaked in water overnight. 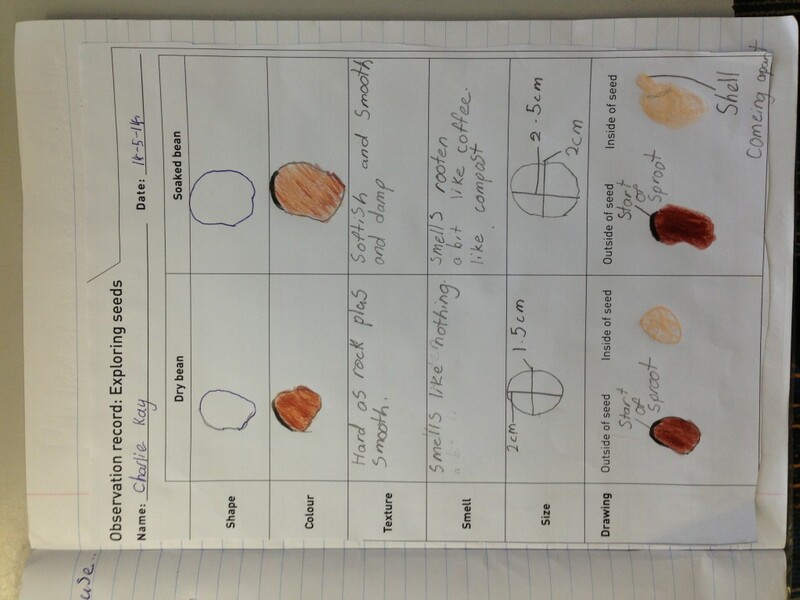 We had to compare both seeds by observing the texture, size, smell and shape of both seeds. We then had to cut open the dry and soaked seeds to see inside. 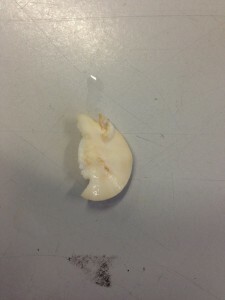 Below is a picture of what was inside of a broad been seed that had been soaked over night. A sprout growing from a seed that was soaked in water overnight. We discovered that the seeds that had been soaking were larger in size than the dry seeds. We also found out that when the seed had been soaking, a small sprout had begun to grow overnight. This investigation helped us understand that this stage of a plants life is the beginning of Germination. We also learnt that a seed is living. Inside each seed is an embryo which is dormant. When the seed is given some water and planted, it triggers the embryo and a sprout appears. We are looking forward to planting our own seed next week and watching it grow. 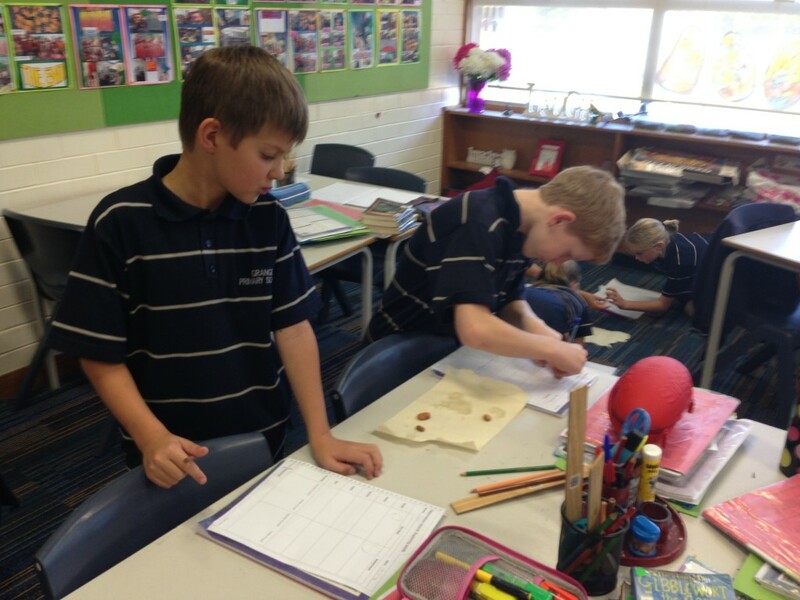 What did you find interesting about the dry seed or the soaked seed? 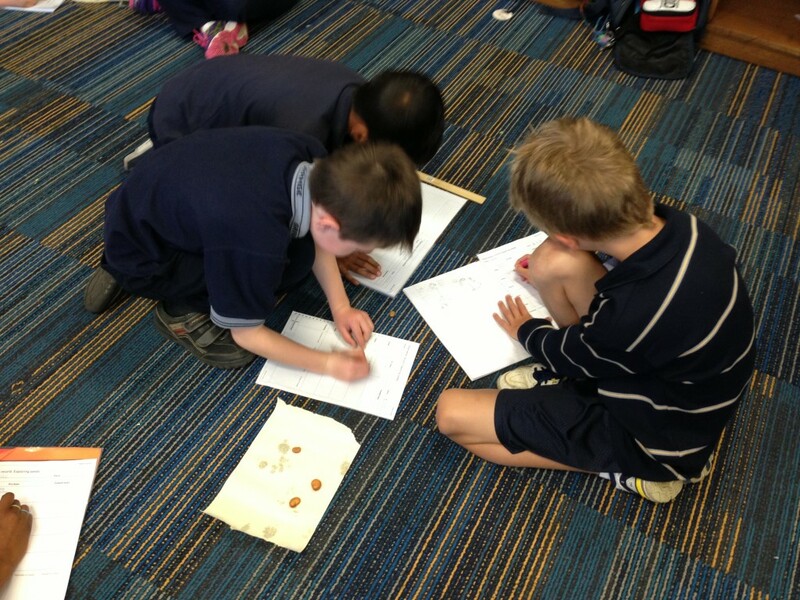 What would you like to investigate next about seeds or plants? I learn’t that a seed was living because if there are no plant’s there is no food. I found that a soaked seed is softer then a dry seed. I want to investigate how far roots go under ground. That is great to hear that you learn’t something new in Science. Investigating how far roots grow under ground is something interesting to research. their would not be a tree. the most interesting thing that I found was when I picked up the soaked seed and it had a really soft centre. I would like to experiment next the life of a seed because it’s interesting and a fun thing to experiment. 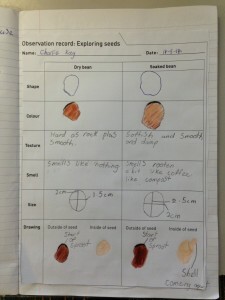 This term we will be learning lots about the life of a seed so there will be lot’s of experiments happening. I am glad you are having fun. Well done. In fact I am having alot of fun all ready just hearing about it. How exciting. I love science because it is fun . That is great you are enjoying the topic this term. 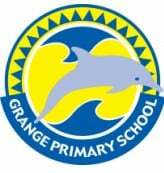 I agree Space is also a great topic to learn about and perhaps later in the year we may learn about it. I would like to investigate how big the soaked bean will grow to and how many seeds they produce. Are we going to plant our own ones and do you know how the highest amount of seeds it produces? What I learn’t was that seeds are asleep and when you give them water they wake and start to grow and produce beans. Yes we are going to plant our own seeds next week. When you watch your seed grow you can then investigate how big it can grow to. Eventually you might need to plant it in a the ground to let it grow very big. I know I have planted Broad Beans in my vegetable patch and they can grow over a meter tall and produce many beans. What I found interesting about soaked seed/ dry seed was working out all the thing’s about the soaked seed/ dry seed. Next time I would like to investigate on how plant’s grow because I think that it would be really fun. We will be investigating how plants grow over the next few weeks. When you begin to grow your own plant you will be able to watch it grow and change and learn lots of new things. Well done. What I found interesting about the soaked seed was that the soaked seed expanded in the water . It was a lot bigger than the dry seed. 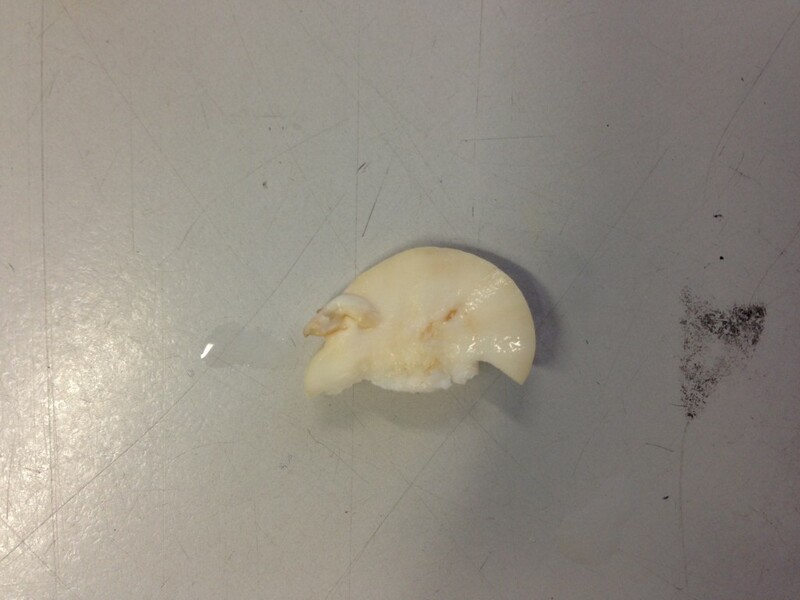 In the experiment I learnt that when you pour water on the seed the embryo wakes up and the seed starts to grow. I didn’t know that. Did you find anything interesting about the experiment? Well done on your thoughtful comment. It is great to hear you learn’t a bit about seeds and you found it interesting. What I found interesting about the experiment was that only after 1 night of the seed being soaked, it grew in size and had a sprout. It showed me how quickly a seed can grow. I learnt a seed is living out of water and soil but it goes to sleep. I would like to investigate how plants grow because I think it would be fun! what was your favourite part of the science experiment. My favourite part was cutting open the seed to see what they looked like inside. It was interesting to see how large the sprout was in the seed after only 1 day. Over the term we will be learning about the different stages of plant growth so you have more science experiments to look forward to. I also learnt that if seeds get soaked over night they get wrinkly. living because the seed is dormant which means that it is asleep but when you pour water on it its like a wake up call. What I found interesting about soaked seed was it had a little sprout in it and the dry seed had none . I would like to investigate what is inside a plant and devour it. I seems like you learnt a lot in the science lesson. Well done for explaining your learning clearly. In the next few weeks we will be learning what is inside a plant and flower which you will enjoy as well. but water triggers a reaction which makes it sprout. I would like to see how long a plant life cycle is. Terrific to hear you learnt a new word in Science. You will be learning many more new words next week when we look at germination in more detail. That’s a great question about the plant life cycle. I think that is one we can research this term! What I found interesting about the soaked seed was that it smelled like old rotten, compost. I also found what the word dormant means. In the future I would like to investigate the plant family line and how water gets to the top of the tree without breaking it due to natural forces. I agree the soaked seed smelt rotten and had an interesting smell to it. Great to hear you learnt a new word as well. 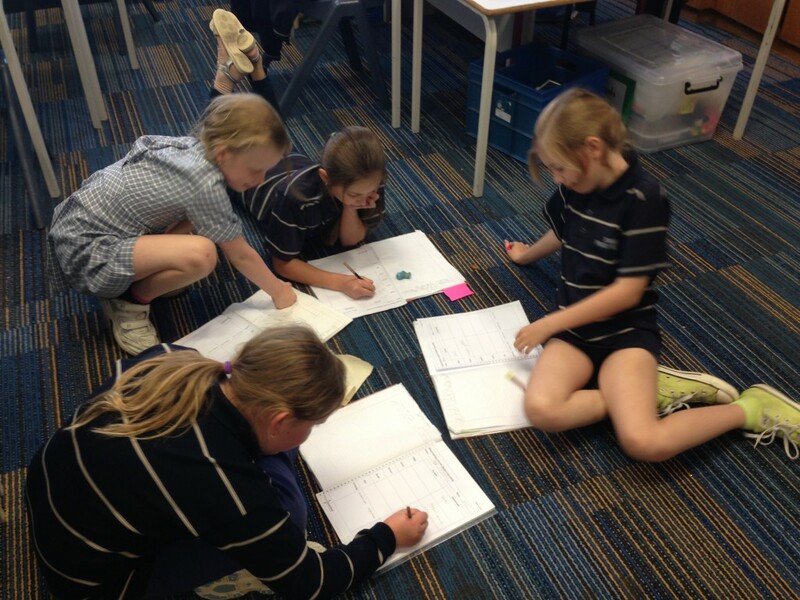 Some very interesting questions to research too. Hopefully we might find those answers with a little research. 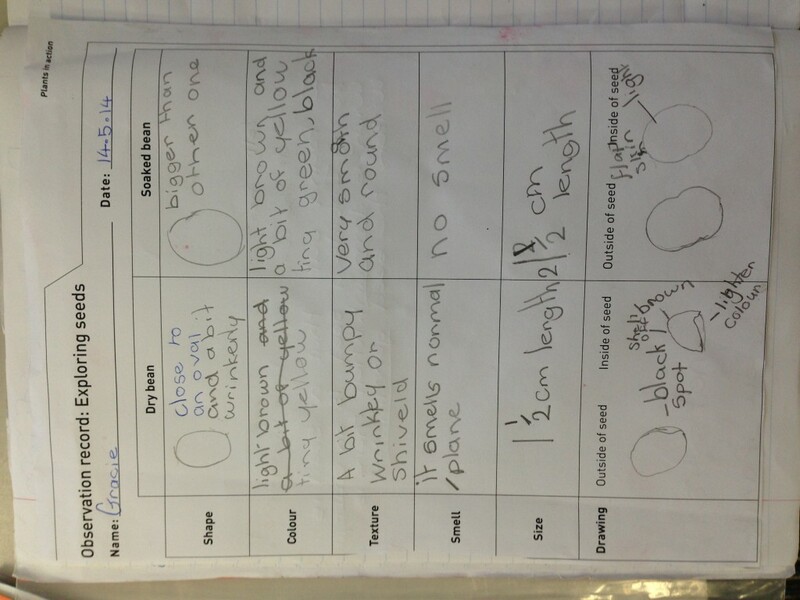 Dear Mrs Baldwin, I learnt from the experiment that there is an embryo inside the seed which is dormant. When you give it water the embryo wakes up and it sprouts. It was interesting to learn. I also would like to learn and investigate about pollination. I would like to find out what pollinates and how they do it. What a great experiment! I would like to learn more about how to keep my plants alive for longer. I planted some carrots in a tub outside earlier this year but they didn’t grow much. Maybe they didn’t get enough food from the soil, or not enough water. They were teeny tiny carrots which were cute to look at but not big enough to eat! Yes the germination process is interesting to learn and there are lots of new processes and words to become familiar with. We will definitely be looking at pollination in the next few weeks and we may use some flowers to help us. The thing I learn’t about the seed experiment is that seeds are living and are like a volcano they lay dormant and when you tip water on it starts to germinate. (But you don’t tip water on a volcano). The thing I’d like to investigate is how long can plants grow and how many different plants there are in the whole wide world and learn about them. The things I found interesting about the soaked seed and the dry seed is that you can not leave the soaked seed in water for to long because it will go moldy and smell and when you put water on the dry seed the root will start to grow. I found interesting about soaked seed are much bigger and softer then dry seed. I liked doing the seeds because I was able to look inside them and see all the parts. Thanks for having this site. I was doing my homework and needed some help! 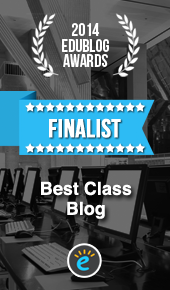 I will reccommend this website to my friends!